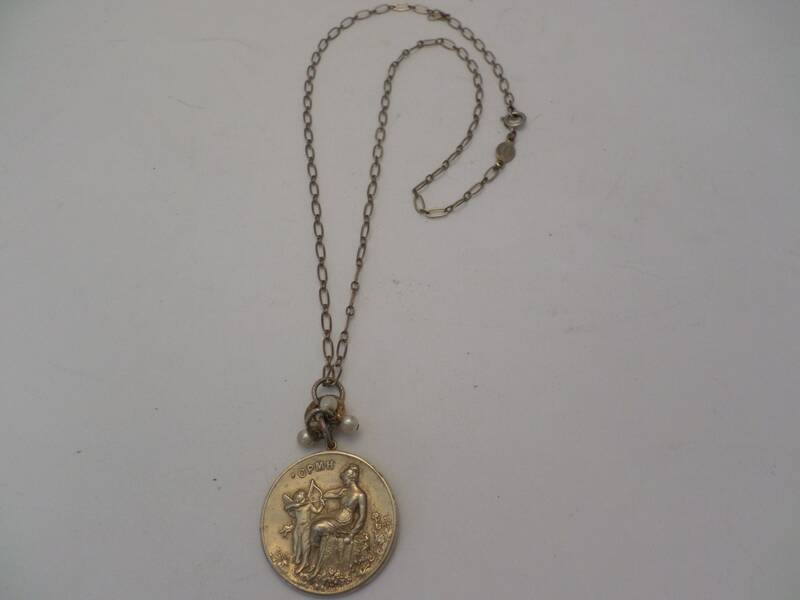 1.5" gold tone pendant of a Greek love Godess with cherub it has the letters Omph on it as well, very lovely the condition of the pendant is great gold tone is clear! 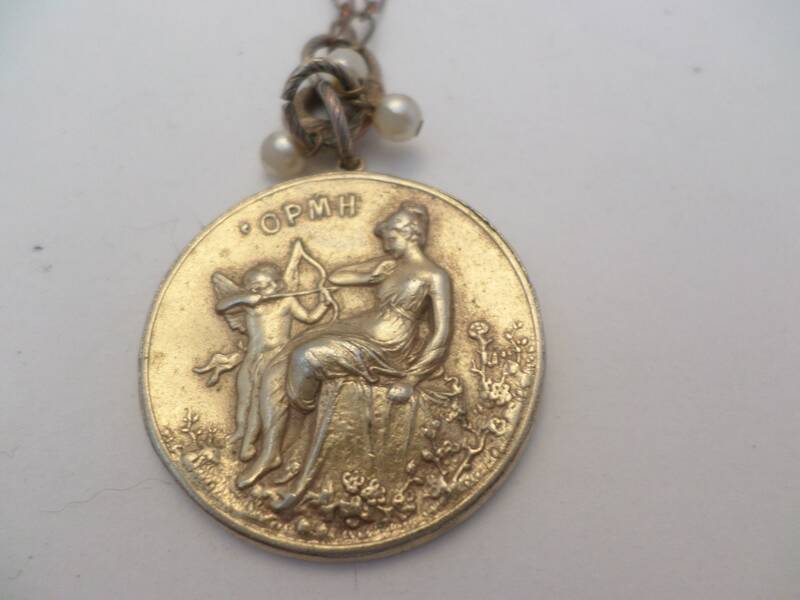 The necklace is quite tarneshed see photos some copper shows through, the pearl dangles have some wear. 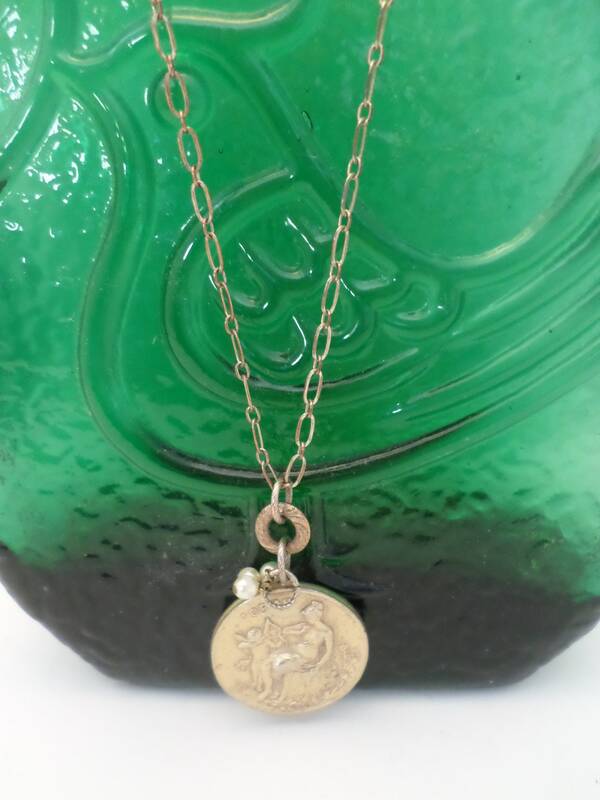 What a lovely necklace with Catherine Popes France tag. 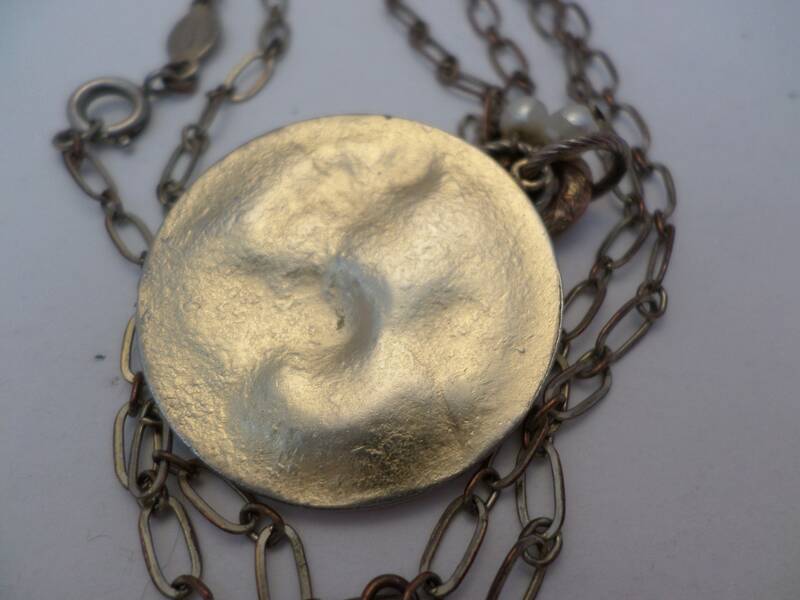 repurpose or wear as it is. Its very charming!